Every biology textbook states that cells are life's building blocks. But research is only now beginning to understand the complexity of how cell diversity is initiated. Technologies such as RNA sequencing reveal which genes are expressed (meaning function) in an individual cell. So now all cells can be arranged systematically by how similar are their profiles. "Whenever we use such a technology to examine an organ or an organism, we find not only familiar cell types, but also unknown and rare ones. The next question is obvious: Where do these different types come from?" Jan Philipp Junker PhD, Group Leader, Berlin Institute for Medical Systems Biology, Max Delbrück Center for Molecular Medicine, Berlin, Germany. Junker's team just published a paper in the journal Nature Biotechnology describing a technique called LINNAEUS, which enables them to determine a cell's type and lineage. "We want to understand the flexibility with which organisms develop." 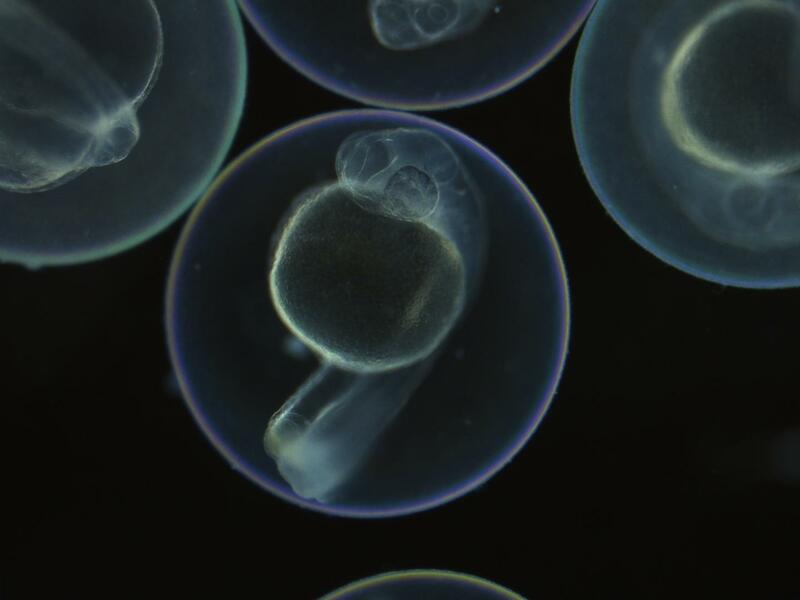 If damage occurs during embryonic development, for example, due to a mutation or environmental influences, repair mechanisms ensure the animal later appears healthy. Only the lineage of each cell can tell the true story - the extent of the damage and its repair mechanism. Even the heart of an adult zebrafish can regenerate after injury. Junker: "Is this a biological development process repeating itself or is something new going on? And do cells change and take on other tasks?" In some cases, a missing cell type can even be responsible for causing disease. In the future, researchers will be able to use lineage trees traced through LINNAEUS to help solve these questions. The technique is based on scars found in DNA. Together these scars appear much like a bar code — detailing each cell's lineage. While zebrafish embryos are still single-celled, Junker's team injects them with the CRISPR-Cas9 enzyme system. Over the next eight hours, Cas9 repeatedly cuts away at a sequence the fish will never need — such as the gene for red fluorescent protein (RFP). The embryo's red glow gradually fades, and thousands of different scars form on the DNA wound sites. "CRISPR always makes a cut at an exact point. But cells have no more than 15 minutes to repair before the next cell division takes place. Patching must be done quickly, so chromosome pieces are sort of glued together. This is where mistakes happen. DNA scars are of random length and their exact position also varies." Daughter cells inherit their genetic scars during cell division. Cells originating from a common ancestor can thus be identified by these inherited scars. While single-cell RNA sequencing maps thousands of cells by cell type, DNA scars show millions of connections made between cells. Reconstructing lineage trees from this tangle of scarred data presented a variety of challenges. Some scars are especially likely to occur. Junker: "This is dangerous, because if the same scar sequence is created in both heart and brain cells, one might mistakenly assume that they have a common ancestor. So we had to know which sequences we couldn't trust and filter them out. "And not all scars in a cell can be found, explains bioinformatician Bastiaan Spanjaard, one of the study's lead authors. "So we have developed a method capable of bridging gaps in the data that enables us to construct lineage trees." The end results are lineage trees with colorful pie charts where the branches divide. Each division is a scar, and each color on the pie chart shows in which cell type it occurs. Researchers can zoom in on this compact representation of an extremely large data set in as much detail as they want. "In the heart, for instance, there are two cell types that are barely distinguishable. But the lineage trees show that their development branches off in different directions very early on. We next want to see where these cell types occur in fish hearts. This often provides a first indication of what function they serve." Junker's lab continues to use zebrafish for their model organism, but also sees great potential in applying their technique to human organoids - miniature organs created in vitro. Ultimately, they want to identify which patient mutations cause permanent damage to a cell lineage tree and why. A key goal of developmental biology is to understand how a single cell is transformed into a full-grown organism comprising many different cell types. Single-cell RNA-sequencing (scRNA-seq) is commonly used to identify cell types in a tissue or organ1. However, organizing the resulting taxonomy of cell types into lineage trees to understand the developmental origin of cells remains challenging. Here we present LINNAEUS (lineage tracing by nuclease-activated editing of ubiquitous sequences)—a strategy for simultaneous lineage tracing and transcriptome profiling in thousands of single cells. By combining scRNA-seq with computational analysis of lineage barcodes, generated by genome editing of transgenic reporter genes, we reconstruct developmental lineage trees in zebrafish larvae, and in heart, liver, pancreas, and telencephalon of adult fish. LINNAEUS provides a systematic approach for tracing the origin of novel cell types, or known cell types under different conditions. Advance Online Publication 09.04.2018, doi:10.1038/nbt.4124. LINNAEUS makes it possible to trace the origin of each cell of a zebrafish embryo. Microscopic image: Junker Lab, MDC.